We traveled to Panama City, FL for Dance Competition. The competition took place at the Panama City Civic Marina. The company hosting the event does not allow photography due to concerns about images of girls in costumes being posted online. I did not capture as many memorable images as one would hope on a trip to the “Sunshine State”. Nevertheless, visiting a town on the Gulf of Mexico’s edge should provide a least one shot. 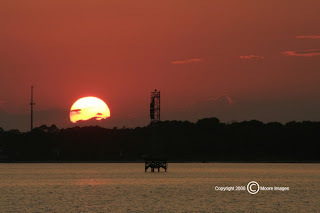 Therefore, I happened to photograph the sites around the marina and I captured this sunset.